The end of the year is nearing, and I was suddenly surprised by the revenues of our book that I received. I will give 99.5 percent of the revenues to a good cause, an ONCE stand near my home in Las Palmas. I’ll even double the revenues and make a donation into our son’s college fund. The revenues were not so impressive though, just a mere EUR 5.02. Just enough to buy a Spanish scratchcard. Today I suddenly received the notification about the profit made from our book, ‘Thomas and Valentine‘. I was amazed because I did not realize it was still being sold, but apparently Amazon is managing to sell a few copies. The numbers are even improving… last month a total of 3 copies were sold. In the entire year almost 10 copies were sold! 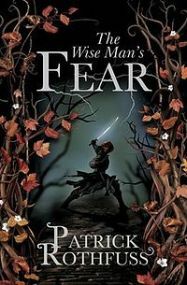 In the beginning of this year I read the first part of the Kingkiller trilogy, The Name of the Wind by Patrick Rothfuss. The first part was a pretty thick book counting 662 pages and the second book even contained 994 pages. Still I read this book almost without pause. The main character is telling us about his life for which he needs three days. Book one contains the first day in which he is telling us about his life. The second book contains the second day. Again it is a very engaging story that is absolutely worthwhile. 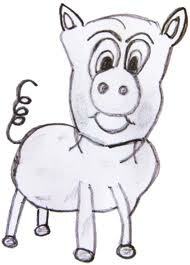 The hero of the book starts as a poor student who slowly develops into a very powerful character with a heavy purse. 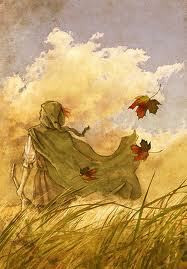 A long time ago I was given the book ‘The Name of the Wind‘ by Partick Rothfuss. It is part of a series of three books. After a slow start the book caught my attention and now I am driven to read more. Quite a read because the book has 662 pages but somehow the story managed to grab my attention. In the book one of the main characters is telling his life’s story. I’ve read around a quarter of the book and his life went from one extreme to the other. I am very curious about the rest and need to start looking for the other two parts. Publishing a children’s book is one thing. Nowadays with all the help you find online, anyone who does a little bit of research can do it. The problem is to generate awareness. This is where I have not succeeded. The past ten days, the digital version of our book could be downloaded for free, which resulted in a grand total of one download. Apparently I need to make people more aware. Maybe experiment with a promotion. Google Adwords regularly sends me offers of 75 euros for a marketing campaign and who knows, maybe that will have an effect. I will have to give it a try when I feel our book is perfect. Our new book is also available in an electronic format and because we are celebrating we offer a 100% discount until the 4th of September if you get the book in the webshop. The only thing you need to do is use the coupon code ‘ALEX’ when you complete your order, and you will get the 100% discount. The available e-books are ‘Thomas and Valentine‘, the Engels version and there is a Dutch version, ‘Thomas en Valentijn‘. All versions are available in ePub, eBook and PDF format. A seasoned book freak will probably recognize the numbers above. They are ISBN numbers. These numbers however are not just regular ISBN numbers, they are my ISBN numbers. Who would have ever thought. I have become an author! Just send the tickets for the book ball to me. Ana and I have written a children’s story and today is the first day you can buy the book. On the website of Lulu you can find the paperback version of the book (ISBN: 978-1-4478-1373-6) which can be purchased for only €8 plus shipping and handling. There are also digital versions available for only €3.50. Especially for your Kindle, Nook, eReader, PC, laptop, tablet, etc. These can be found in my own online store in Dutch or English. For owners of an iPhone or iPad there is an English version available in the iBookstore (ISBN: 978-1-4478-1835-9). With this book you come into possession of the heartwarming story about Thomas, a brave young farmer who builds a friendship with a strange unknown animal. … But his wife has other plans. A story about loss, intrigue, love, despair and happiness. A new classic for you to read to your children which they will want to hear again and again. An elegant, traditional story that will make you wonder why it has not been written before. We received a very nice book, the ‘dagboek van een ettertje‘ (diary of a little menace), in which a little menace keeps a record of his daily ordeals in his first year of life. The book is easy to read and it explains what you can expect as a new parent. I loved the part where the father went out with his friends for the first time after the birth. The little menace noticed as a result the milk had turned a little sour. It is a story that I like to tell my Spanish friends. The story on how the city where I was born, Leiden withstood and displaced a heavy siege by the Spanish occupiers. After sending the Spanish back home they left an empty encampment which contained a big pot of hutspot, a dish made with potatoes, carrots, onions and a smoked sausage. Every year on the 3rd of October every inhabitant of Leiden celebrates and usually eats hutspot. I also try and keep this tradition in honor, even thou I moved to a different country and it is difficult to find a smoked sausage here. The nice news is that a Suske and Wiske comic is being published. The topic is the suffering Leiden. I used to be a bog fan of the Suske and Wiske series and although I stopped reading around the comic number 200 I will for sure get this one (number 314). I wonder if Suske and Wiske will still be the same or if commercial interest have also entered the world of these comics. The story should be placed around the year 1574, so for sure some time travel will be involved. On the cover I see the strong Jerommeke looking like a Spaniard who is just preparing a typical pot of green hutspot. I am curious about the recipe, because normally the color is orange. 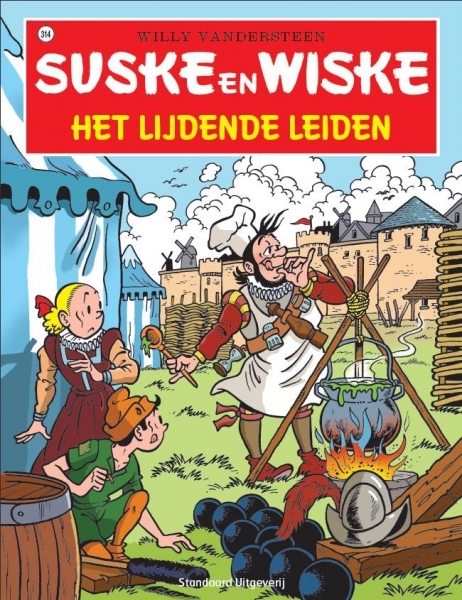 Suske and Wiske are with the underdog, the people of Leiden, who for sure will end up victorious. For sure it will be a classical story. If you are also curious you will need to be patient. In august the new album will be released, although you can already pre-order it at the october 3rd association. Een van mijn favorite genres is science fiction en ik ben altijd onder de indruk hoe de auteurs van een verhaal het toch weer voor elkaar krijgen om iets origineels te verzinnen. Maar dat blijkt helemaal niet zo moeilijk. Er zijn programmas en schemas die een hele verhaal uitlijn genereren. Zo vond ik een schema om een science fiction verhaallijn te genereren. Hier is er eentje die ik gemaakt heb in flash aan de hand van dit schema. Misschien maak ik binnenkort een Nederlandse versie.